I would like to welcome new reader Palsgrave to the blog. I hope this gives you some ideas of your own. Sometimes I buy some of the wooden shapes from the catalogs just for the heck of it, to see what I can make out of it. The barrel beads make good bearskin hats and abdomens, and ½ of the beehive bead makes a great turban (although they are a paint to cut in half ...). Today's little project came from buying some angel wings. At first I thought I would use these for my larger 42mm figures, given that the wingspan is 2 ¼". However, the more that I was looking at it and measuring it, along with some 28mm Roman cavalry I am making, the more I became convinced that they could be used in that scale too. By cutting the wing at an angle, it looks just like the wings from a Polish Winged Hussar. I drilled a hole in the bottom of the wing and into the body in order to pin it for strength. It is attached to the same type of button plug-round head plug-spool figure I created for the Romans. I also decided to try a little experiment with the spool in that I sanded out enough space so that it could straddle the horse figure. Definitely a lot more work than simply lopping off the bottom of the spool, sanding a smaller indentation, and then using craft foam to make the legs. I do like the look from the side when the figure is mounted, however. Maybe a little more experimentation with the tools will yield a faster way of removing the excess wood other than just sanding or grinding it down. Another little experiment was sanding down the bottom edge of the button plug so it is rounded, making it look a little better as a head. I also sanded the top of the round head plug, which forms the top of the torso, to increase the surface area contacted between it and the button plug, making gluing easier and stronger. It is worth the effort and actually takes less effort than pinning. As it stands I already have a 15mm Polish army to go along with a Cossack one, so this will probably serve as a knightly figure for a 28mm HOTT army. Go to the back of your local super market and look in their garbage bin. I found some super material all for the price of carrying it away. They were wooden fruit (and maybe some veggie) boxes, made both of solid wood veneer (less that a 1/16") and some even of very thin (slightly under 1/8") plywood. Remove the staples and you have great material for bases and scratch-built projects. For me a good source of sheet wood would be very useful. Although I tend to start with wooden shapes, like flat toothpicks, craft sticks, etc. sometimes wood sheets are very useful, such as for cartridge boxes, swords, sabretaches, etc. And free is good! Thanks Jim! Oh, and welcome to new reader Palsgrave. I hope you enjoy the blog. As I was painting my test 28mm Imperial Roman soldier, it dawned on me that the helmet did not look right. I knew it was not going to be perfect in shape, but it was missing ... something. I went back to my reference books and it leapt out at me: the very distinctive neck guard. I grabbed some of the thinner craft sheet foam and, using the button plug acting as the head, pressed the base of it into the foam to get an indentations. (See earlier experiments with craft sheet foam and how to make templates.) I then glued it underneath my previous foam piece, trimmed carefully, and now it looks right. With that, it was time to finish painting him, including a look of grim determination on his face. I have been working diligently on some new figures for Bob to paint, seeing as he thought the last batch were agreeable to paint. As I am using the figures for both Song of Drums and Shakos skirmishes and Drums and Shakos Large Battles, I have decided to make units of 14 infantry and four cavalry figures each. This first picture is of eight horses, for two cavalry units. A few changes from previous horses in this scale. First, I added necks between the head of the horse and the chest. Previously I just filled the gap with modeling material, but I liked how the 28mm Armenian cavalry looked, so I have switched. I use a small spool for the neck, which makes it easy to use a dowel to fix the head to the spool and the spool to the split egg acting as the horse's chest and forelegs. I will use modeling material to fill in the gaps between the spool and the split eggs. Otherwise, the figures are the same. Next up is infantry in shako. I still have not determined which nationality this will be (I just know it is not British, as I use a dowel for their shako). 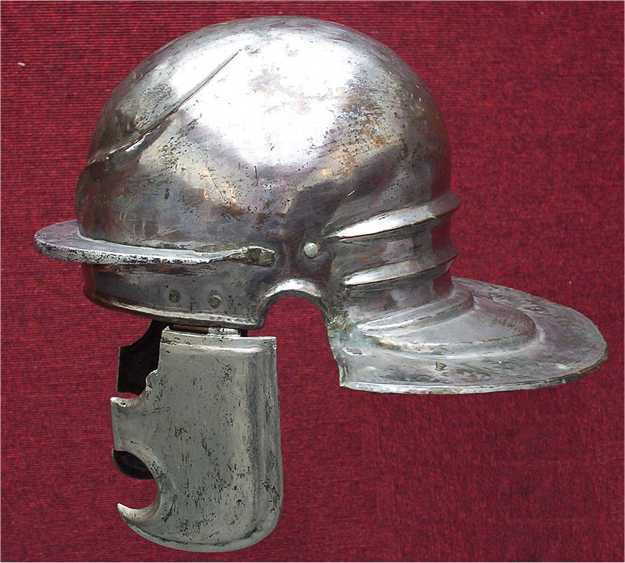 I think it will be French as I am still trying to figure out how to simulate the oilskin cover over a Prussian shako. I will probably use a dowel for that, and not a spool, which creates a noticeable trim around the top of the shako. Nothing new here other than I am using the 'defending' pose that I used with my Prussian Landwehr, rather than the older 'march attack' pose. 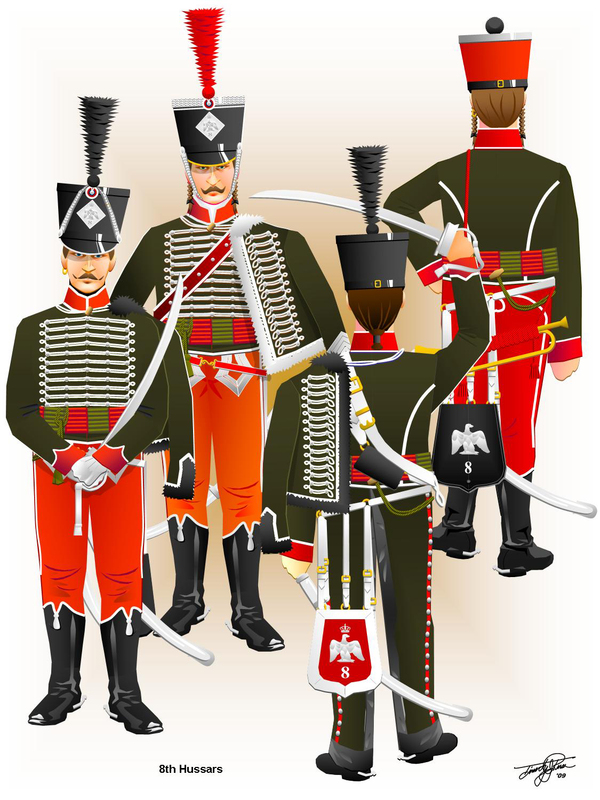 I would like a little more color in my army, so maybe I will make them something from the Confederation of the Rhine, or Italian troops (white with green and red!). The last batch are the riders of the two cavalry units. They use the same pawn figure as the infantry above, but I have shortened them by about a 1/4". The bottoms are then sanded so they fit the curve of the spool used as the back of the horse. I've temporarily mounted them on toothpicks for each of painting. The one thing I have learned is to paint the riders before putting them on the horses, especially for Napoleonics, where there might be quite a bit of detail that would be hard to get if it were glued to the horse, yet is visible so needs to be painted. On the left are four French Carabineers, in the early uniform. as shown below. These figures have a simple dowel for the bearskin, but at a straight angle on the bottom and a 15º angle on the top. I then take a coarse carbide bit and 'comb' the dowel from top to bottom, giving it a 'fur' look. (I will provide better photos when it is complete and painted.) Flat toothpick parts for the plume and the scabbard. On the right are four French Hussars. I am looking forward to experimenting with craft foamsheet and making the pelisse (the jacket draped over the left shoulder that so defines the hussar). For these the plume was a round dowel thinned at the bottom. Once it is firmly glued to the spool I will also 'comb' the plume, only horizontally, to represent the feathers. Three units on the bench, working all at the same time. Again, this is a way to produce more, quickly, by reducing the amount of time spent switching tools. Further, while one item is being glued and drying on one set of figures, you can work on another. By the time you rotate through all three units, the first one it usually ready for the next step. I am actually hoping to get five or six units to Bob, so I can increase my armies quicker, but we will see. I happened upon an interesting combination of shapes today, and it occurred when I was thinking about finishing my 25mm DBA Roman army. I had started my Romans using a Micro Shaker Peg, which is the same basic figure that I used for my 25mm DBA Armenian army. How I was doing the helmet was taking a lot of sanding, which generally does not bother me except that the 25mm figures are much smaller than the 42mm ones, so I end up sanding my fingertips. It would be very easy to glue those pieces together and just go with that, but you know me. I like the little details. The half spool makes a great scutum, but only the top and bottom shield rim is represented, so I took two pieces of thin foam sheet and made the rim for the left and right. Trimming it with a sharp blade will make it look better. To finish off the helmet, I added a strip of thicker foam sheet and glued it to the sides and back of the 'head' under the 'helmet'. Using a sharp blade I cut out the section where the ears were exposed. Simple, but effective. As I look at other pictures of Romans I may find other bits and pieces to add, but for now that looks pretty good. I can make these much faster than the ones I had been making previously. Given that these will be a little thicker, I think I will use these for the legionnaires and the others, based on the micro shaker pegs, the auxilia. Now the only question is: do I paint these myself or send them to Bob? I think they would do well with the marker pen treatment that I used for my Armenians. First, I would like to welcome new reader ZeroTwentyThree to the blog. I hope you enjoy it. It has been awhile since I wrote on this blog and that has been because I take on too many projects simultaneously. I don't know why I do it, but there you are. I made some Prussian Napoleonic Landwehr and sent them off to Bob Barnetson to be painted. You can find the results on his blog. I've finally gotten them in an am happy to report that they look as good in person as they do in the pictures. I am currently building a batch for Bob right now and that has prompted this short blog entry. One of the lessons of making my wooden soldiers is that much of the time spent is in switching between tool bits - the various sanders, grinders, and drills. Because it takes so much time (and puts wear on the tool) it makes sense to minimize that as much as possible, which means doing quite a number of similar bits and pieces before moving on to another. For example, I have to use a jig to make my shakos and it takes a few minutes to use it properly, so it makes sense not to make only one shako, even if that is all I need. So now I typically grab as dozen spools or so and make them into shako, storing the excess in zip lock storage bags until I need them. Another technique is build several different types of units, or units in different stages of construction, at the same time. Often you find yourself gluing two components together and then needing to sand one of the components just glued. Rather than weakening the bond from sanding it too soon, it is better to switch to another task, either making new components or working on ones that have dried thoroughly. This usually means having several different projects to work on at the same time. 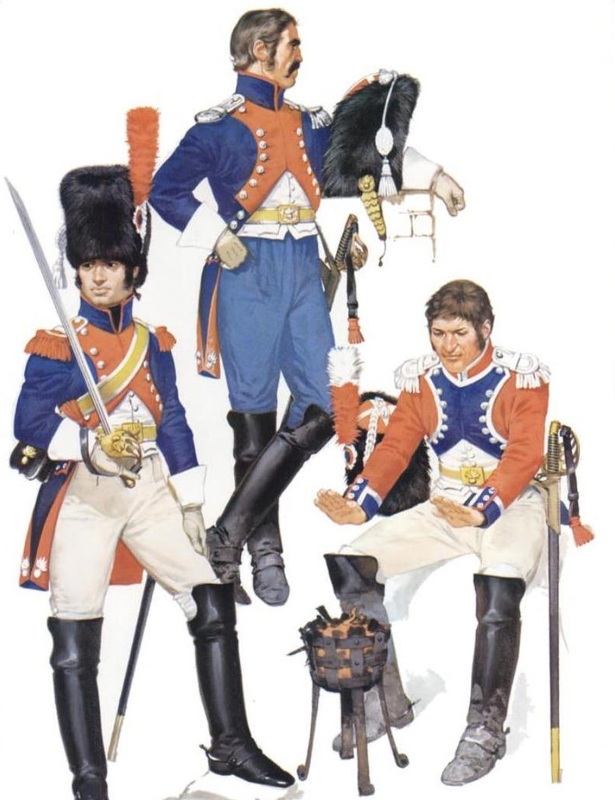 Right now I am working on a Napoleonic infantry unit (I have not decided on which specific one yet, which is the beauty of these figures; most of the detail is in the painting) and two small cavalry units. When they ar built, I will take pictures and then send them off to Bob for painting. I still need to finish my 25mm Romans DBA army and I have to figure out a better way to make artillery. Plus I have to make it a little smaller if I want to have any hope of using it on anything other than a humongous table.